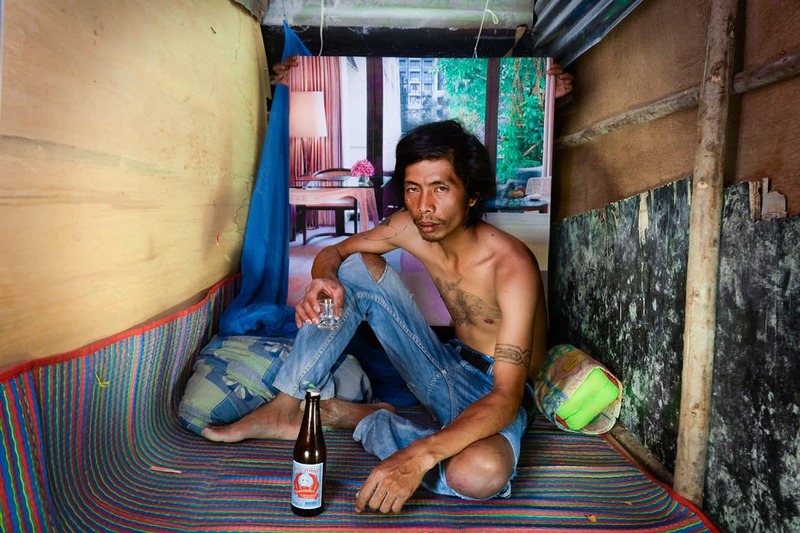 A series of photographs which question the luxury of new high-rise buildings which are mushrooming all over Bangkok, and the tough lives of the workers who built them. The project is realized by juxtaposing images from the advertisements of those high-rise buildings, especially their luxurious interiors, within photographs of construction workers’ temporary destitute shelters. Simply unreal. These people deserve better than this. To be honest though, all over the world people are making things that they cannot afford to buy.